Away from the busy resorts and large hotels are these some lovely gems. These highly individual guest houses usually feature a very small number of rooms in gorgeous surroundings with a homely vibe. 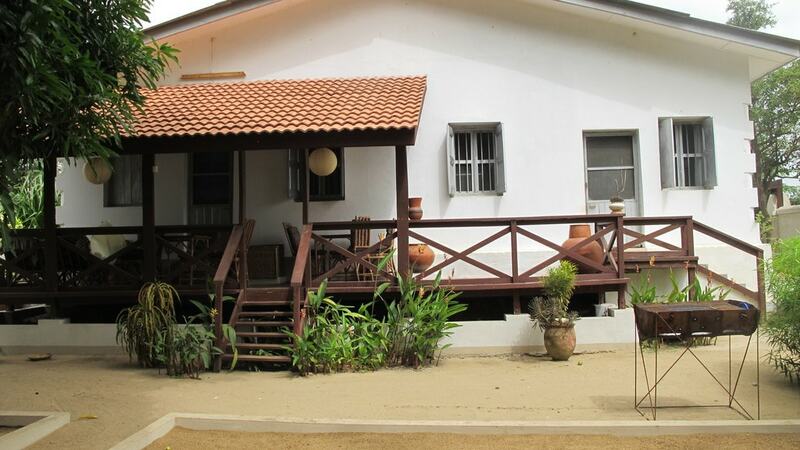 We highlight the best small accommodation in Ghana. In the winding hills above Accra, away from the city traffic and mosquitoes, is the quaint and peaceful Hillburi Lodge. It offers only a handful of rooms and a well-run restaurant and a gorgeous landscaped garden, complete with an infinity pool that takes in the lovely views across the Akwapim mountain range and the city lights of Accra. Located on the road to the Eastern corridor, this guest house never fails to charm all those that pass through. Situated in the verdant Peki valley and surrounded by lovely hills, Rootsyard is a family-run spot offering arguably the best vegan food in all of Ghana, home-brewed Akpeteshie, handmade huts for lodging, and an altogether great atmosphere. This tiny and well appointed beachfront house offers some delightful rooms, lovingly furnished by its French owners right in the center of Busua beach, but away from the larger hotels and resorts. The porch area is a popular spot for all meals where there is always a tasty and creative menu made up from the fresh catch. The inn also features a well known and slightly pesky in-house monkey. 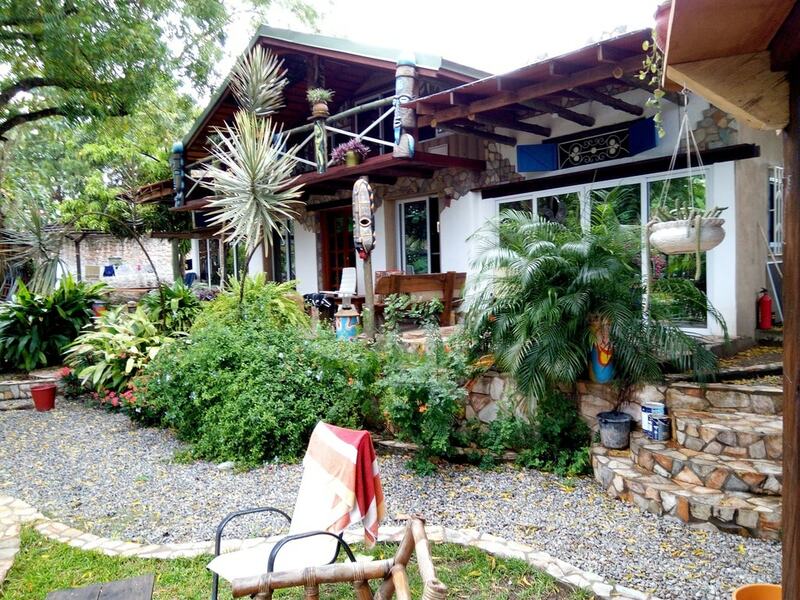 In a quiet pocket of Ada, away from the heaving resorts and beachfront bars, is this lovely guest house that also has a great restaurant and pizzeria. Private house vibes abound where there is a delightful porch for eating and relaxing and a handful of rooms done up to a high standard. This is a great place from which to discover the old town of Ada. Not far from the lovely KNUST Botanical Gardens in Kumasi is this gem of a guest house, which is highly rated with particular note to its coziness, quality of facilities, and friendliness of staff. You can expect high-quality amenities, such as an on-site restaurant, en-suite bathrooms, and a 24-hour concierge. A lovely addition is the free use of the on-site bicycles to take advantage of the area, which is popular with cyclists. A smart and somewhat secret place in one of Accra’s best areas, Palisades offers peaceful accommodation of a high standard in the Airport residential area. Hidden from the road, secrete behind large gates, and featuring only five rooms (four superior rooms and one executive suite that is focused on “opulence and luxury”), Palisades feels more like a top quality home than a hotel. Located on Lake Bosumtwi, Cocoa Village is a relaxing and low-key bread and breakfast from which to take in the best of the huge crater lake and indulge in activities such as swimming, canoeing, boating, paddle boarding, and fishing, to name a few. A verdant garden restaurant, where meals can be taken, is another lovely feature. Set back from the strip in its own magical enclave is this lovely garden guest house that has always been known for its ever popular restaurant featuring Italian specialties and huge, authentic pizzas as well as fresh fish. Quirky, beautiful, and all lovingly handmade, the garden offers a handful of starkly individual houses, from Greek-style rooms to bamboo huts and a see-it-to-believe-it tree house. This is a must stay place for a peaceful Kokrobite experience. With a premiere location that has a view of the surrounding mountain ranges, Wli Lodge is an oasis of peace in an already peaceful area of stunning natural beauty. Individual rooms or huts are available in this large landscaped compound that sits in the middle of the village. A gorgeous central summer hut is where meals and drinks are served from and is the best place to catch the views. 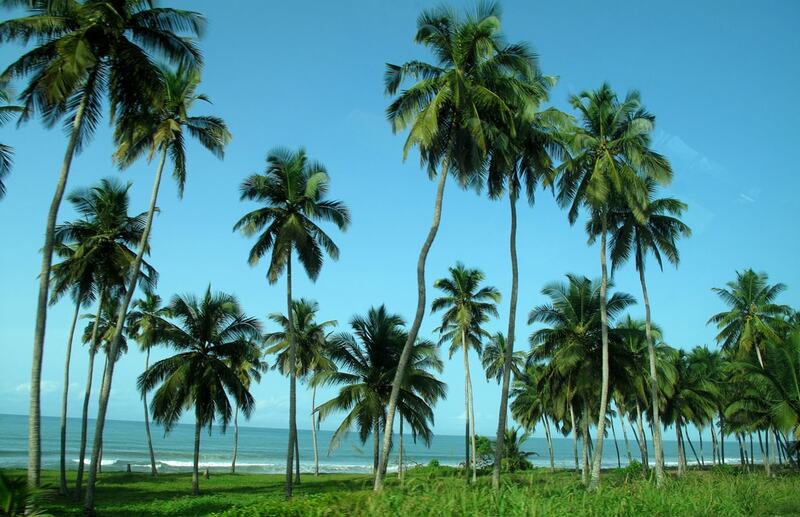 A great place to stay in Cape Coast, Fairhill offers accommodation that is ten minutes from Cape Coast Castle and 30 minutes from Kakum National Park. The guest house has been awarded with accolades from Ghana Tourist Board for many years and is chock full of facilities, including a restaurant, terrace bar, car park, and conference room. Out of the way of the main drag of Kokrobite is this gem of a beach house that offers a choice of accommodation between the main beach house and various bungalows and huts. Entertainment pavilions are on hand for parties and meals as well as activities, such as football and volleyball, all in a serene beach front locale. 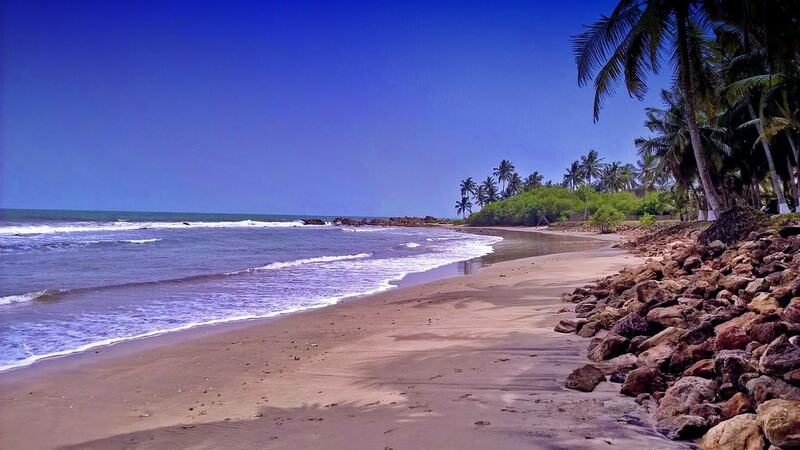 Something of a hidden gem that defies advertising, this lovely spot is only a few hundred meters away from both Cape Coast Castle and Cape Coast market. Located right on the beach and certainly off the beaten track, Natural Bamboo offers basic, yet charming accommodation, shared bathrooms, and a lovely restaurant for those seeking a low key, no frills, and all natural environment. 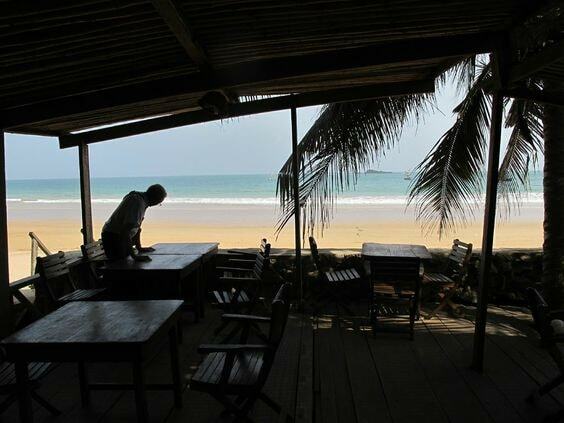 Located in Takoradi, this friendly and laid back spot sits in a quiet neighborhood. 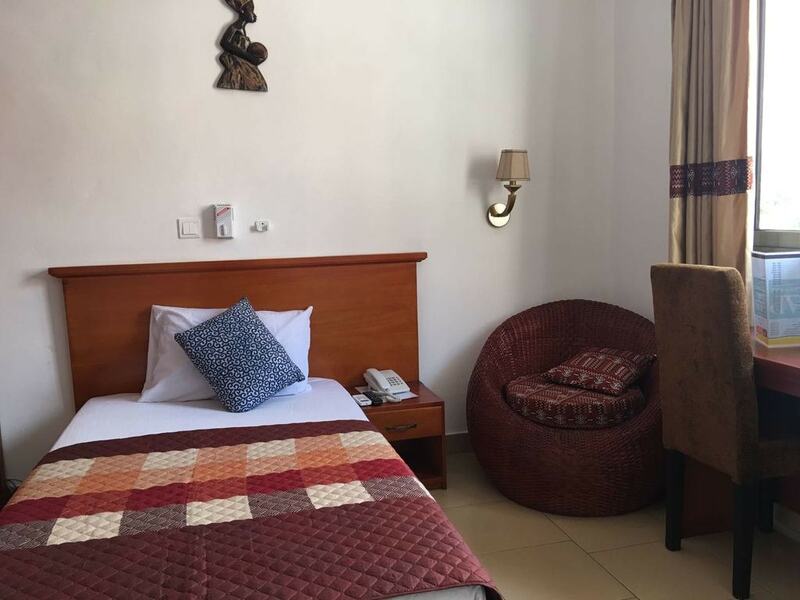 Winner of Best Guest House in Ghana, Harding’s Lodge is perfect for a short stop over in the city, having large airy rooms and comfortable furnishings. The lack of an on-site restaurant isn’t really a problem as Takoradi is filled with its own selection of bars and restaurants to suit everyone’s taste.